Bold proposals to deliver more healthcare from home and create networks of specialist doctors have been unveiled to tackle “unacceptable” levels of health inequality in Scotland. Health Secretary Shona Robison outlined plans to shift the burden of care away from acute hospitals, as part of the new National Clinical Strategy, by supporting smaller hospitals, creating teams of nurses, GPs and pharmacists to treat people in a community setting, and using new technology. The plans are aimed at targeting staffing shortages by allowing specialist doctors to work across several hospitals, as health boards have struggled to recruit highly-skilled staff in some specialties, forcing patients to wait for treatment or travel elsewhere. This could lead to fewer specialist inpatient units with specialist services centralised instead, but with follow-up care delivered locally, the report said. More recovery and rehabilitation will also take place at home under the plans. 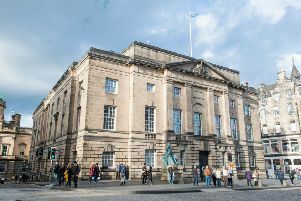 Opposition politicians questioned whether the NHS was ready for such a change, claiming a lack of long-term thinking from the Scottish Government has pushed vital GP services to the brink. Medical leaders cautiously welcomed the plans but questioned how they would be delivered. Announcing the strategy, Ms Robison said: “People will get most of their health and social care services provided in their own homes and we want to prevent people going to hospital as far as we can. “There is international evidence that rare procedures such as knee operations are best done by specialists who perform them all the time. “I think people understand that if it is a once-in-a-lifetime procedure then they may have to travel further to a specialist centre where outcomes will be better. Led by medical director and former GP Dr Angus Cameron, the strategy for the next 10 to 15 aims to tackle “pervasive inequalities” which mean the most disadvantaged Scots can expect to live up to a decade less than their wealthier peers. It will also address the challenges presented by the ageing population, rural settings and the upcoming integration of health and social care in April. There will also be more emphasis on patients to self-manage their symptoms and intervention before people need hospital treatment. It comes after Scotland’s chief medical officer Dr Catherine Calderwood called for a move towards a culture of “realistic medicine” last month, with doctors urged not to over-treat patients. Liberal Democrat health spokesman Jim Hume said: “Access to GPs is one of the bedrocks of local health services. “But only last month the Royal College of GPs gave a damning assessment of the SNP’s record on primary care. “As a bare minimum it takes ten years to train a GP. “But there has been no long-term thinking from the SNP, no planning for the fact that many health professional working in primary care are nearing retirement. Health chiefs reacted positively to the strategy but said detailed plans were required. Royal College of Nursing (RCN) Scotland director Theresa Fyffe said: “The bold changes, which are implicit in this document, could potentially transform the way our health and care services are structured and delivered. Dr Peter Bennie, chair of BMA Scotland, added: “New models of care such as more concentrated specialist services and the vision for primary care that the BMA is working with the Scottish Government to deliver can help to address these challenges, but to be successful they also must be properly resourced.